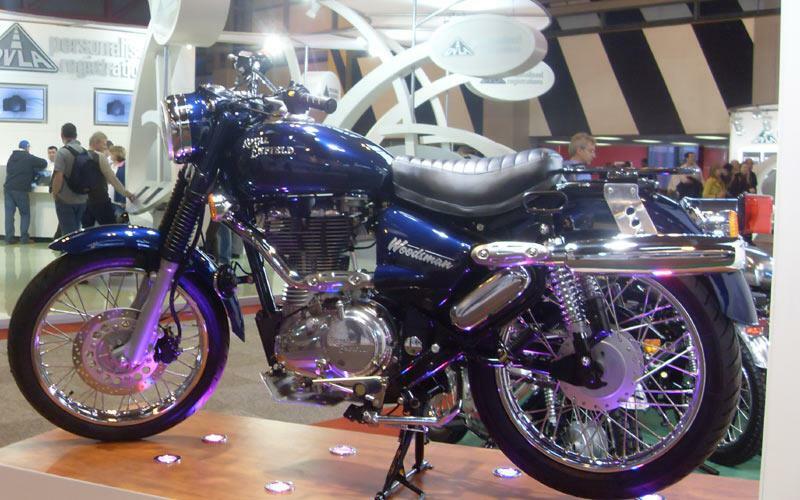 Royal Enfield is showcasing its new Woodsman EFI and Lewis Leathers limited edition at the NEC show for the first time. The Woodsman harks back to the 1955 model produced by Royal Enfield for its USA importer, who sold a version of the Bullet with a high-level exhaust and high bars badged as the Indian Woodsman. 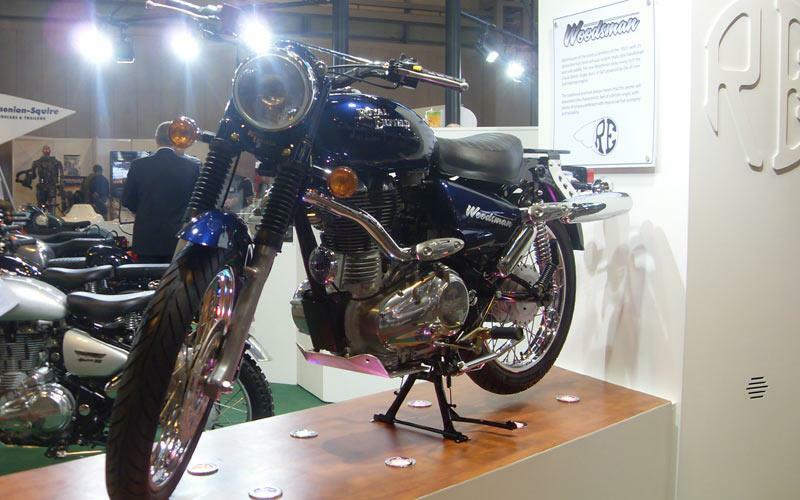 Royal Enfield’s 2010 model is based on the new unit-construction engine with fuel-injection and electric start, but for the Woodsman a set of higher bars and exhaust pipe are fitted (like the original). The new motorcycle goes a step further with an alloy bash plate, rearset footrests, a single seat and a luggage rack. It’s available early in the New Year at a cost of £4699. The Lewis Leathers limited edition Bullet Classic was co-designed by renowned fashion photographer and fan of vintage styles Nick Clements, and British leathers manufacturer Lewis Leathers, and Royal Enfield are now producing a limited run. There’s a unique paint scheme and graphics marking the special edition out, plus a Lewis single seat with a two-tone leather cover and leather saddlebags. Final machines will have a pannier rack to hold them – you’ll note the show bike only has them loosely attached for appearance. A ‘Sports Classic’ performance exhaust adds a little extra power and gives the right look and noise. 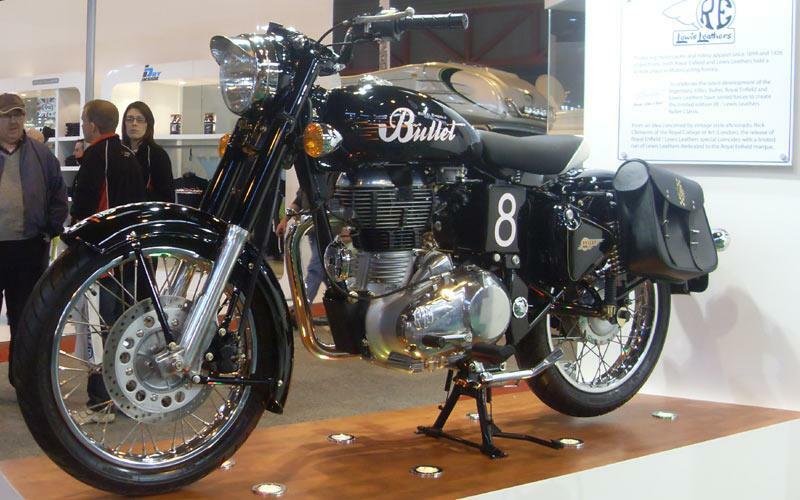 It costs £5350 – only 50 will be available through Royal Enfield dealers.